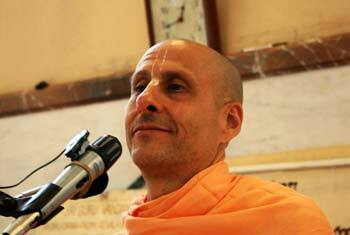 Question to Radhanath Swami: I am very much interested in Bhakti Yoga. But how do I cultivate enthusiasm and determination to remain steady on this path? 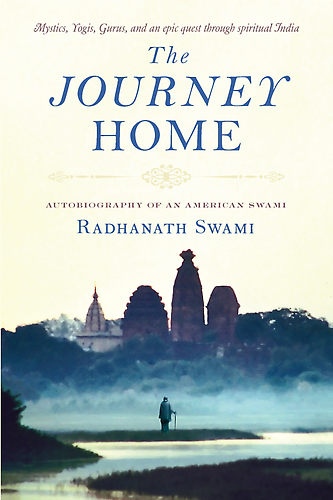 Radhanath Swami: How do you cultivate a plant? You have to protect it and you have to water it. If you’re growing a flower in your garden you must protect it from being ripped out, from being trampled on, from being choked by weeds, and you also have to put water on it. So that is how enthusiasm and determination are also developed. If you engage in sense gratification, it’s like choking whatever little enthusiasm and determination you have with the weed of sense enjoyment. Sense gratification very much deters the growth of our enthusiasm and determination. And offenses to others are like an elephant, trampling on that little seed of determination and enthusiasm. So we must protect it by guarding against sense gratification and guarding against offenses to others and we must water. We must water by whatever determination we have; we cultivate that by acting with determination. You already have determination; it’s just a matter of using it. When Srila Prabhupada was asked, “What do I do if I have no determination?” Prabhupada said, “No determination means you are an animal. A human being has determination. 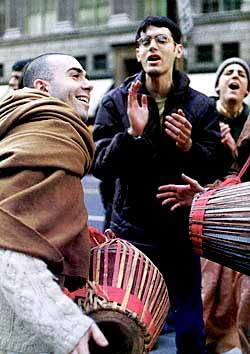 You simply have to choose to use it and choose to cultivate it by chanting Hare Krishna, by reading Srimad Bhagavatam, Bhagavad-gita, by associating with devotees, and by endeavoring with great efforts.” If you endeavor, your determination and your enthusiasm will grow. Krishna tells, “For those who are too much attached to material opulence and sense enjoyment, the resolute determination for devotional service does not take place.” Austerities cultivate determination. Good association and good sadhana cultivate determination. If you want it, Krishna will give it to you. If our desire is sincere then we will live accordingly.